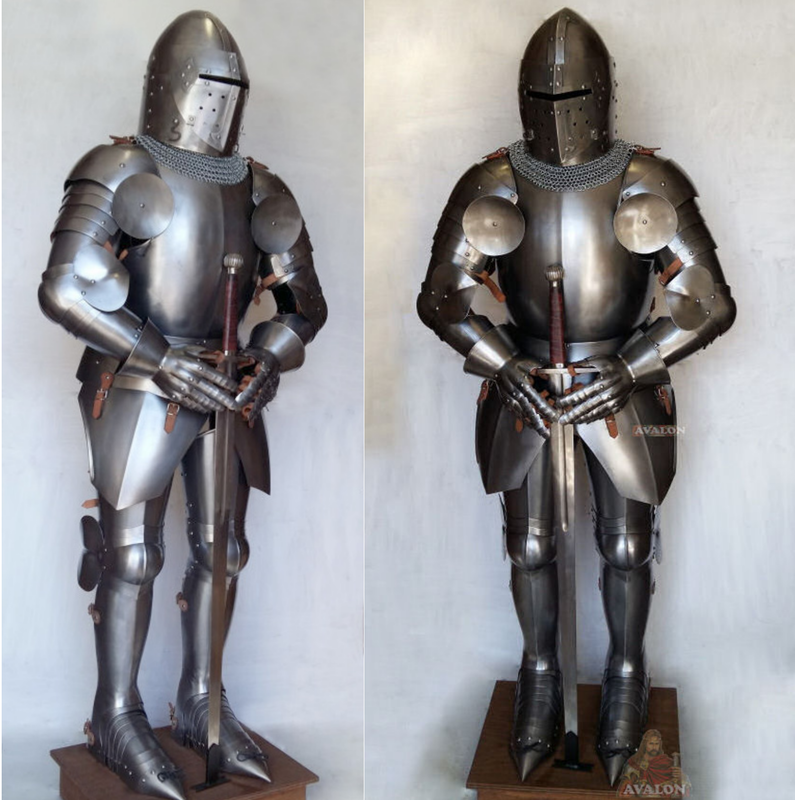 This exceptional reproduction of Medieval Knight Armour is crafted in the tradition of craftsmen from Milan, who created the originals for Knights to be used in combat or for parades. 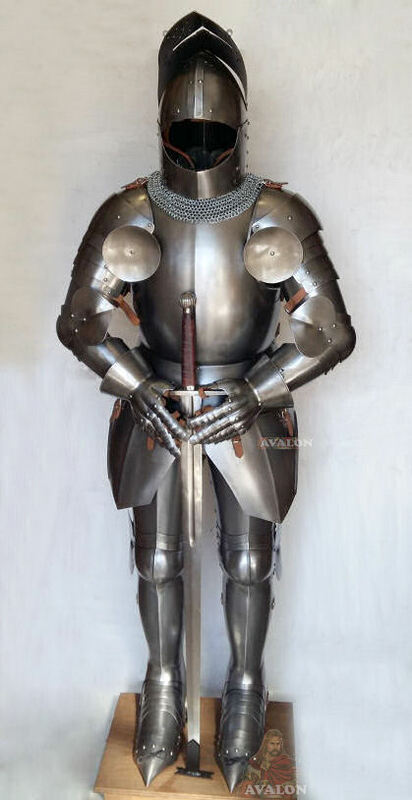 This Medieval Knight armour wearable and articulated has a brushed steel finish, is a model reproduction of the original medieval armour that today can be seen in museum collections around the world. Entirely made in Italy, steel, processed by hand, with leather straps to be worn. Sword of double-valve de Don Alonso Quijano, better known as Don Quixote, knight errant, with a great sense of.. 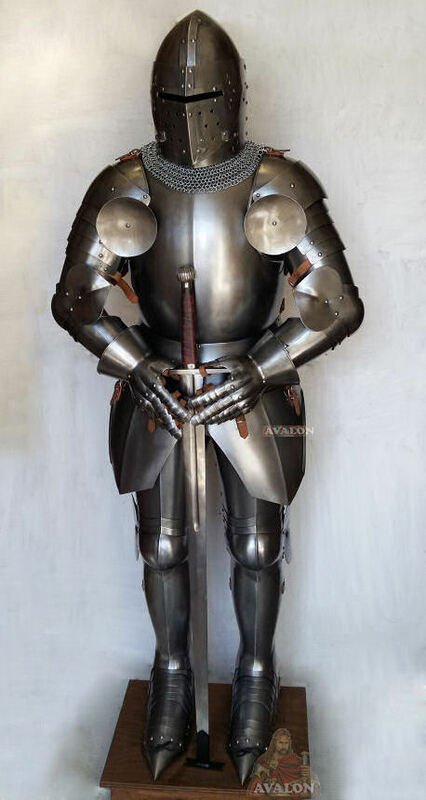 Medieval armour (aged) of the fifteenth century, complete with pedestal, aged finish. Made by artisans in Italy,..